Mr. Wong was facing difficulty sleeping and eating/swallowing as he constantly felt pain at his tumor area (tongue). We noticed that the area around the tumor was swollen (inflamed), which may be the cause of his constant pain around the area. At times, the pain worsens and causing him frequent headaches. There were numerous occasions where the pain was so bad that Mr. Wong could not open his mouth hence could not speak and eat/swallow food. He was on prescription medication as well. 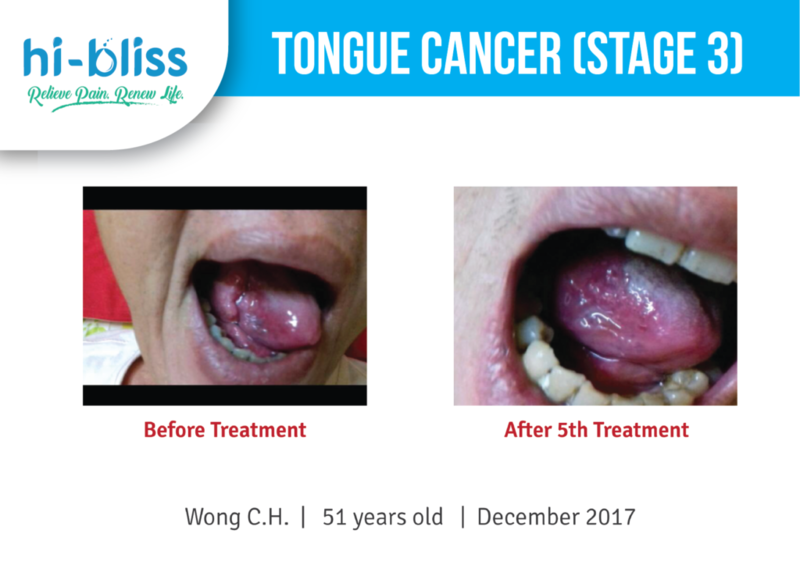 After diligently under-going Hi-Bliss Intensive Detox, Mr. Wong’s tumor mass had a gradual reduction in size. 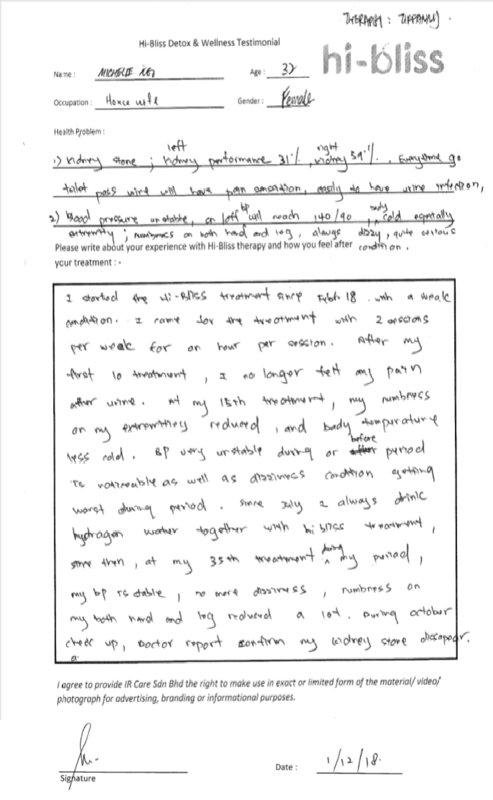 He could also reduced his dependency on the medication after 2 months of treatment. On the 3rd month of treatment, Mr. Wong had informed us that the tumor (which has been reducing in size), had disappeared. We were pleasantly surprised and happy for him. Mr. Wong has since then been having a normal pain-free life – can eat, chew, swallow and his appetite has also returned to normal.